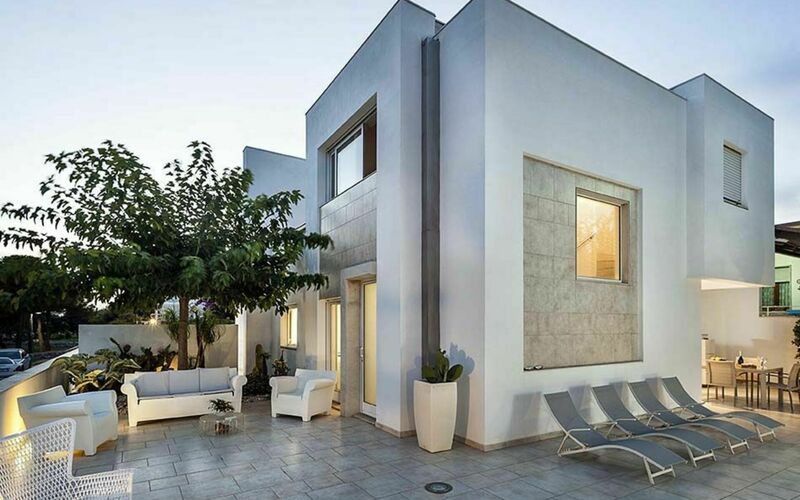 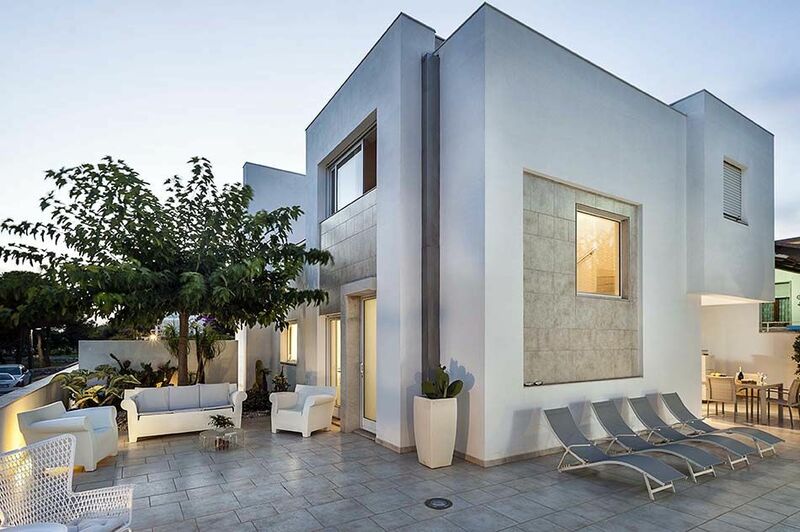 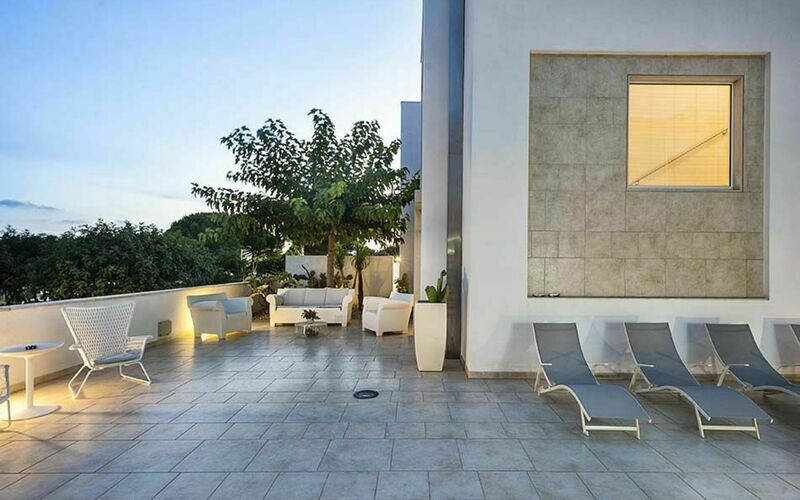 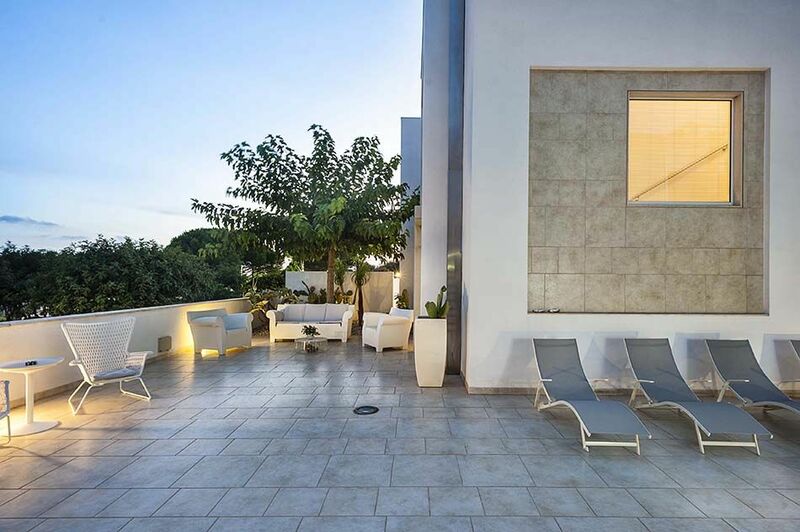 Sulmare is a recently built up villa - essential in its architectonic lines perfectly fitting the Mediterranean style - situated in Marina di Modica, on the southern coast of Sicily. 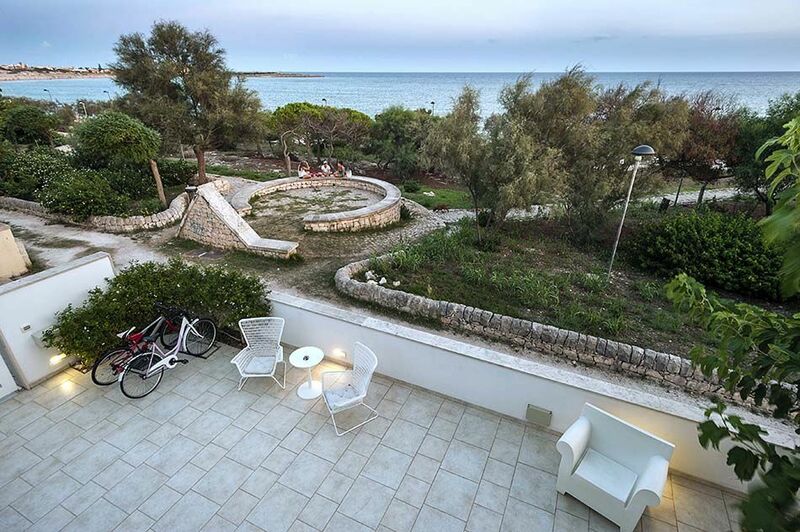 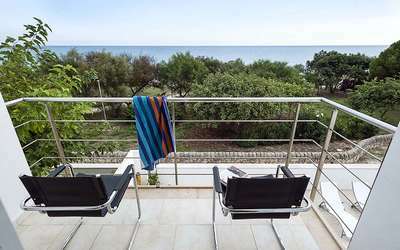 Its position is absolutely privileged: a few steps away from the property extends a white reef of rocks mildly descending towards the sea and just 100 metres away a long beach of thin golden sand which is typical of the most beautiful localities of southern Sicily. 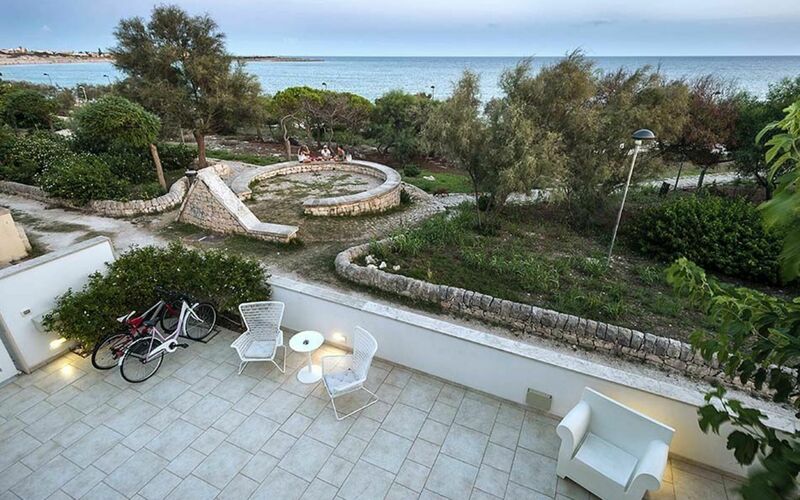 In its vicinities there are interesting localities such as the Oasi di Vendicari (Natural Reserve of Vendicari), Capo Passero, Ragusa Ibla, Scicli, Noto, Syracuse. 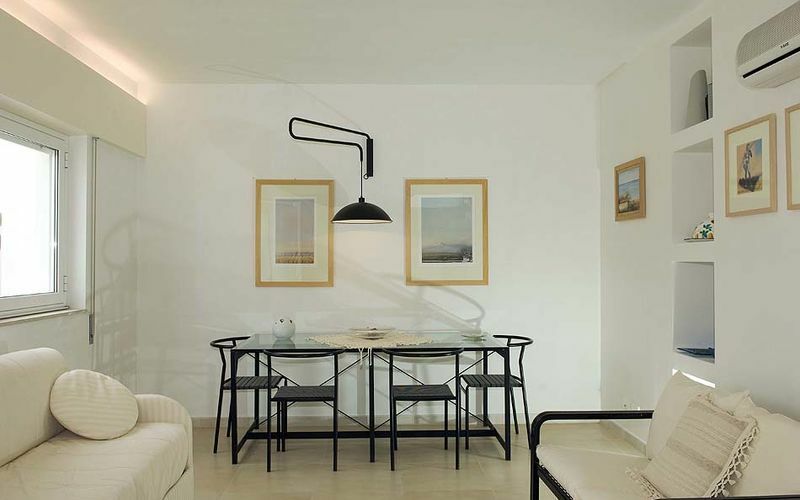 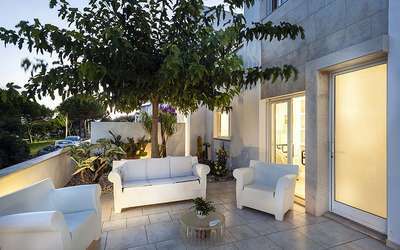 The villa is subdivided into two comfortable lodgings - independent one from the other - which have been furnished according to the owner's good taste and perfectly matching the natural dyes of the land and of the calcareous stone around. 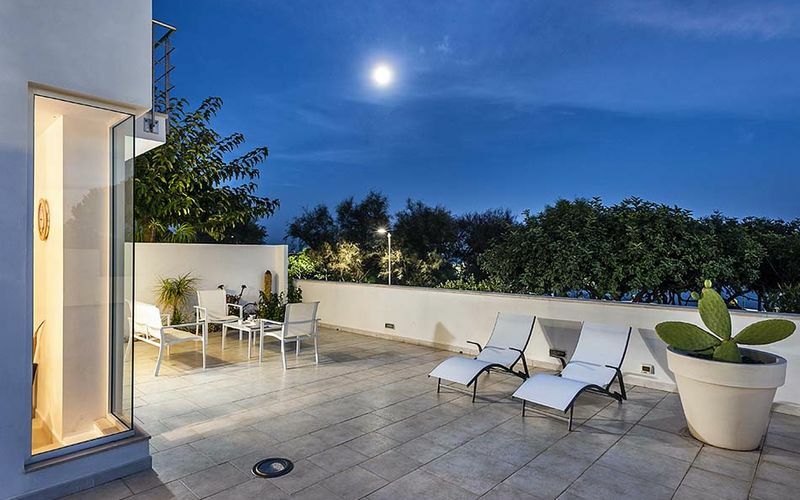 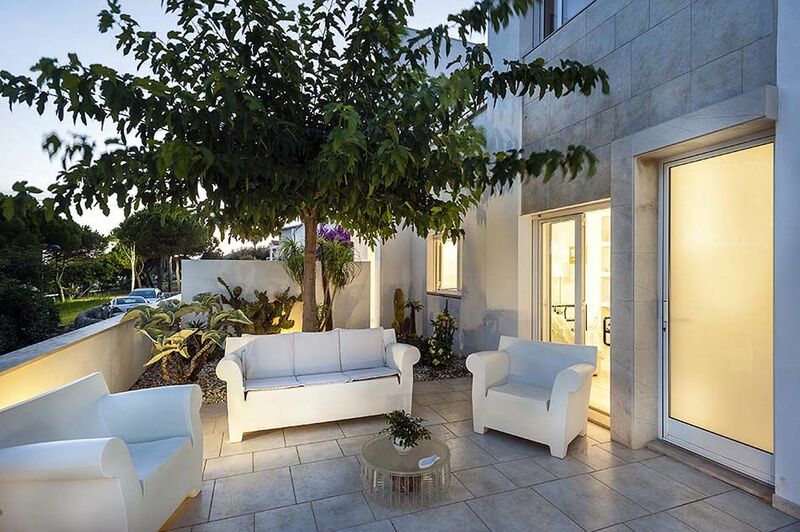 The large living-room and the kitchen look on to a wide equipped terrace (furniture, external shower, barbecue) and on to a small garden decorated with laurels, jasmines and a rich variety of succulent plants. The rooms - fresh and luminous - are at the upper floor and have two lovely balconies facing the light blue sea of the south.